"the only thing you have control over is your breath." Ya'ah'teh. My name is Nazbah Tom. I am Dine. In my cultural practice of acknowledging and honoring all elders and ancestors, it is important for me to introduce my clans before explaining more about the work I do. I am Ashi'hii (Salt Clan) and born for Bitah'nii (Folded Arms People). My maternal clan is Lookaa'dine'e (Reed People) and my paternal clan is Too'di'chii'nii (Bitter Water People). In short, my culture asks us to acknowledge our parents, grandparents, and great-grandparents, as a way of remembering one's lineage as well as giving another person familiar with this practice a way to locate you in the clan system of the Dine. This allows for formal kinships to be established which leads to appropriate and respectful ways of interacting with each other. It also serves to remind the two people meeting that they are not the only two people interacting in that moment of first meeting each other. The word, "ya'ah'teh" also serves as a formal greeting as well as an offering of "All is well with me; I hope all is well with you." This introduction, connected with a handshake, that is not typically Western (i.e. firm) rather a touching of hands, illustrates this connection physically as there is value placed on also calling ourselves, "bilah ash'glaa'i"--The Five Fingered People. This distinction connects us to all other Five Fingered People who are not Dine. To this end, it is with this greeting and introduction that I welcome you to the work I do along with a little more about how I came to offering somatic work as a form of healing and community building. My practice of moving toward healing began with my own work of questioning difficult and confusing circumstances in my childhood that moved me from my home in Arizona to college in Colorado, finally landing in the Bay Area for graduate school. 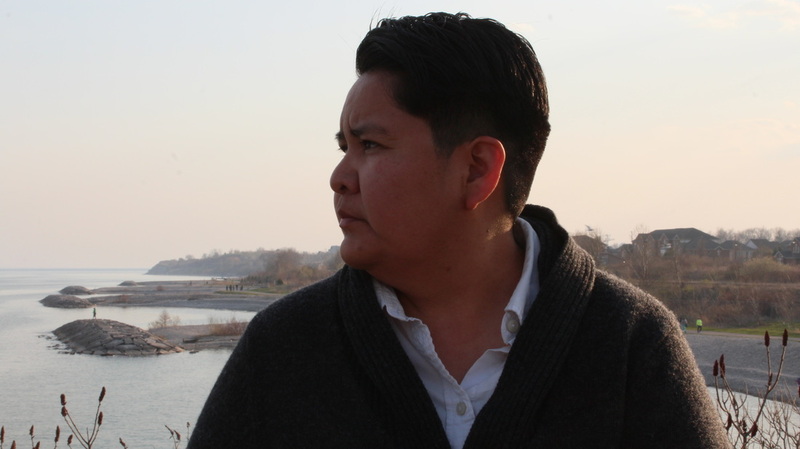 It is here that I came into my current identity as a Queer, lower middle class, Urban Native, poet with an instilled cultural ethic to support community in growing towards healing. The way I practice that process involves a blending of personal life experiences and personal work on returning to right relationship to self, family, friends, community, and land-to name a few sites that have shaped me. I also incorporate the learning and six year practice of Drama Therapy that I have applied at the Native American Health Center; this involves utilizing drama techniques to facilitate psychotherapy. While in graduate school I started learning about generative somatics and found that learning plays a rather large role in fusing elements of the multiple worlds I participate in by offering a language that not only bridges but translates the unique culture I grew up inside of to the often dominant Western world. generative somatics then weaves the many worlds I participate in guiding individual and collective healing and liberation of the body, mind, spirit. generative somatics puts forth a space for all this to be held in a complex, yet simple, web in an arc of change toward reconnecting to the individual and collective spirit we all have been gifted inside each of our bodies and our communities. The "work" I offer then is based on allying with individuals to begin a practice of noticing, listening and trusting the body to hold healing and resiliency as competently as it does trauma and survival. This process invites both practitioner and client to build together a process that engenders safety, trust and connection which in turn inspires the body, mind, spirit and cosmos to come in to more alignment with each person's values and longing. In the time we are given to work together, I am committed to allying with individuals to create a stronger connection to their voice, body, spirit, community, and land that offers more safety, belonging, resiliency, and choice. Very recently, I was accepted in to an intensive bodywork course at Strozzi Institute to deepen my work learning how to assess, work with, witness, and hold healing using touch. As part of that learning I am seeking clients who are interested in somatic bodywork to further their own healing. To conclude for the time being, I want to leave you with this teaching of an elder who once told me, "the only thing you have control over is your breath." In my culture, we are taught that our breath is gifted to us when we first laugh as babies and we celebrate this gift collectively. I invite you to take up the spirit of your breath as a gift that envisions wholeness and healing, not only to your own body, mind, spirit, and cosmos, but to the generations of elders and ancestors who have come before you. I welcome you to greet your breath, introduce yourself to your elders and ancestors, and to become the generous and sacred Spirit you already are.